SALT LAKE CITY – After a four-day trial and seven hours of deliberation, a jury handed down a guilty verdict Friday for San Juan County Commissioner Phil Lyman and co-defendant, blogger Monte Wells, for the parts they played in an ATV protest ride through Recapture Canyon last year. Lyman and Wells were both found guilty of federal misdemeanor counts of conspiracy and driving motorized vehicles through public lands closed to vehicle use. Two other defendants in the case, Shane Marian and Franklin Holiday, were acquitted by the jury. Prosecutors with the U.S. Attorney’s Office were pleased with the verdicts against Lyman and Wells, though expressed disappointment in the acquittal of the other two, Deseret News reported. Lyman and Wells will return to U.S. District Court for sentencing on July 15. They could each face up to a year in jail and up to $100,000 in fines. 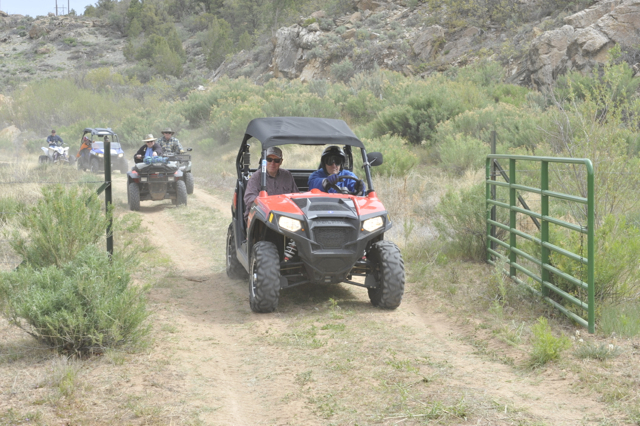 The charges stem from a May 10, 2014, all-terrain vehicle ride through the closed Recapture Canyon in San Juan County. The Bureau of Land Management shut off access to the canyon in 2007, citing the need to prevent damage to Native American archeological sites in the area. Local residents felt the BLM closure was arbitrary and bypassed a mandated federal review process. Today’s verdict underscores the importance of protecting the nation’s irreplaceable archaeological treasures. These ancient dwellings and artifacts are essential for understanding the story of the earliest inhabitants of the American Southwest. As Congress has directed, the BLM will continue to protect these resources while managing the public lands for multiple-use and sustained yield on behalf of all Americans. The men were charged in October, last year. A fifth individual, Jay Reed, also had charges filed against him in connection with the protest ride. The charges were eventually dropped. When the five men were originally charged, both the Washington and Iron County commissions condemned the BLM’s seeking charges against the five men and voiced their displeasure in resolutions blasting the federal agency. … Iron County believes this is an attempt to squelch the voice of elected officials and citizens who are willing to take a stand against wrongdoing by federal agencies …. Isolating (five) out of hundreds of protestors and criminally charging those (five) individuals rather than a civil suit against the county is wrong, unjustifiable and an act of intimidation and bullying. 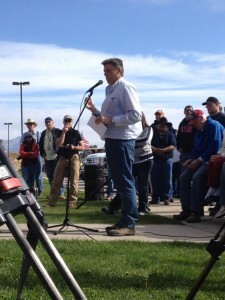 During a rally held prior to the protest ride through the canyon, Lyman told those assembled that the county government had tried to work with the BLM to reopen access to the canyon. Instead of working things out, the BLM refused to cooperate, he said. In all, an estimated 50 people went into the canyon and took off-road vehicles through what the BLM has described as an archaeologically-sensitive area. The federal government may yet seek restitution reaching as high as six figures if it is determined any damage was done to archeology sites during the ATV ride. The defense for Lyman argued the county commissioner had permission from the Utah BLM and the San Juan County Water Conservancy District – which has a right-of-way easement through the canyon – to open the canyon up and take the ATVs through. 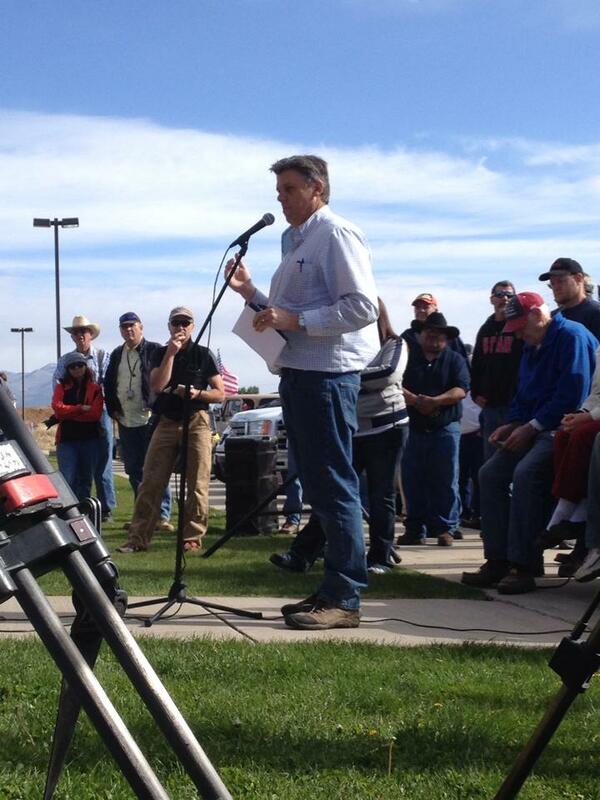 The San Juan Record reported that Ferd Johnson, the water master for the San Juan Water Conservancy District, testified that he gave permission for the protest to take place on a pipeline maintenance road through a right-of-way granted to the district by the BLM. Lyman and the others had no intention of taking the protest off the right-of-way trail, Lyman’s lawyer, Nathan Crane, told the court, and there was no conspiracy to break the law as federal prosecutors alleged. Federal prosecutors said permission to enter the canyon was never given by the Utah BLM and that permission granted by the county water district was a diversion. A gate opened by Johnson allowing the riders into the canyon is located outside the restricted area, Assistant U.S. attorney Jared Bennett said, according to The Salt Lake Tribune. “It’s a red herring,” he said. The prosecution argued Lyman and the others knowingly broke the law and should be held accountable. “They knew what they were doing was wrong, they did it anyway,” the prosecution said, according to the San Juan Record. “I’m happy Trent (Holiday) and Shane (Marian) were acquitted,” Wells said, deferring comment on his own conviction to his attorney following the weekend. What does Obama and guns have to do with this article? The judge had information and evidence withheld from the jury about the law suit San Juan county has with the BLM over this road. This trial was rigged from the start which is only too typical for our corrupt legal system. The prosecution was allowed to tell the jury anything they wanted too no matter how false it was. This under scores why I refuse to be on a jury because I know I will be lied to and then used to find an unjust verdict. Court is just a big game with a bunch of professional con men playing checkers with each other. I have watched other court cases like this one. The jury is only there to give the APPEARANCE of justice. In this country there is no such thing. That is the travesty of an innocent person being found guilty and sent to jail or prison after such a scam of a trial. It happens all the time. What country do you think has a better legal system than ours. I’d be interested in your answer since it’s obvious you’re an expert on the matter.